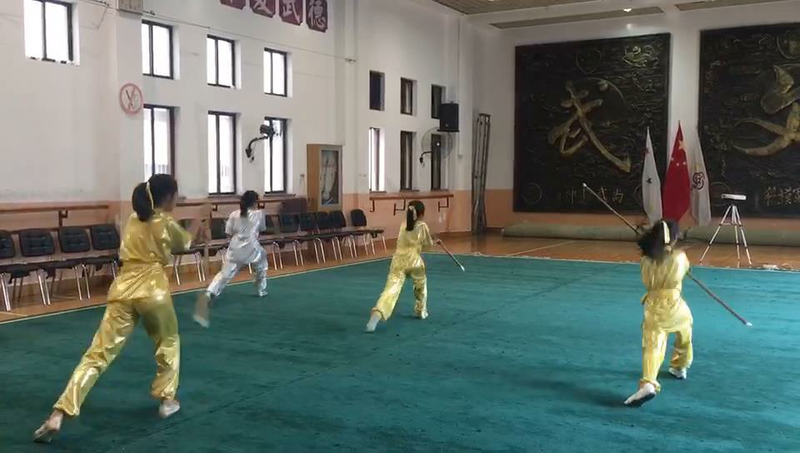 Chin Woo martial arts, created by Chinese master Huo Yuanjia in the 1900s, will be taught at elementary and middle schools in South Africa from the end of the year. Ten children from a local kindergarten practice boxing exercise in front of a delegation of 14 principals from elementary and middle schools from Tshwane, South Africa, at Shanghai Chin Woo Athletic Federation on Tuesday. 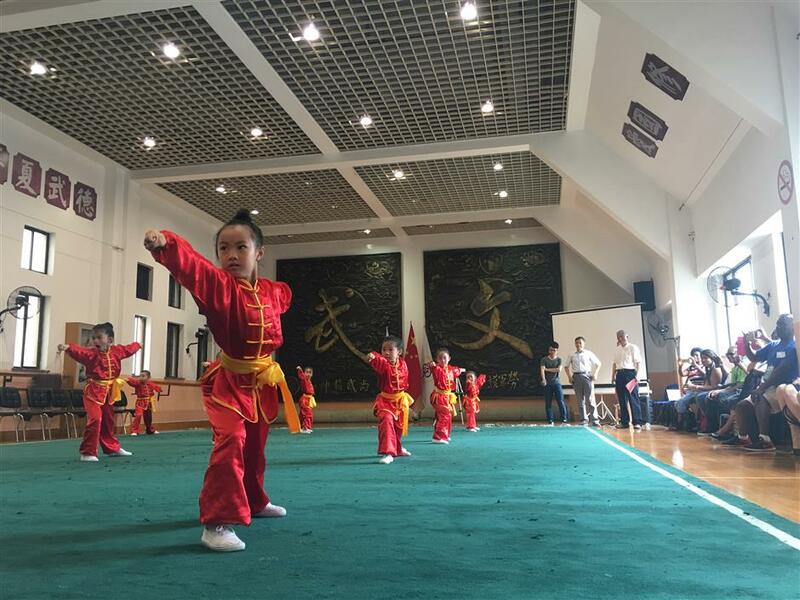 Martial arts masters with the Hongkou-based Shanghai Chin Woo Athletic Federation have begun promoting and teaching Chin Woo boxing, tai chi boxing and other martial art forms in South Africa from this month, said Xue Hairong, deputy director with the federation. “Chin Woo has become one of the most famous cultural brands of Shanghai, and such promotion aims to enhance cultural exchanges between Shanghai and South African cities,” Xue said. The federation has established a training center in the city of Tshwane to teach the schools' coaches and teachers, and then students were encouraged to participate, he said. 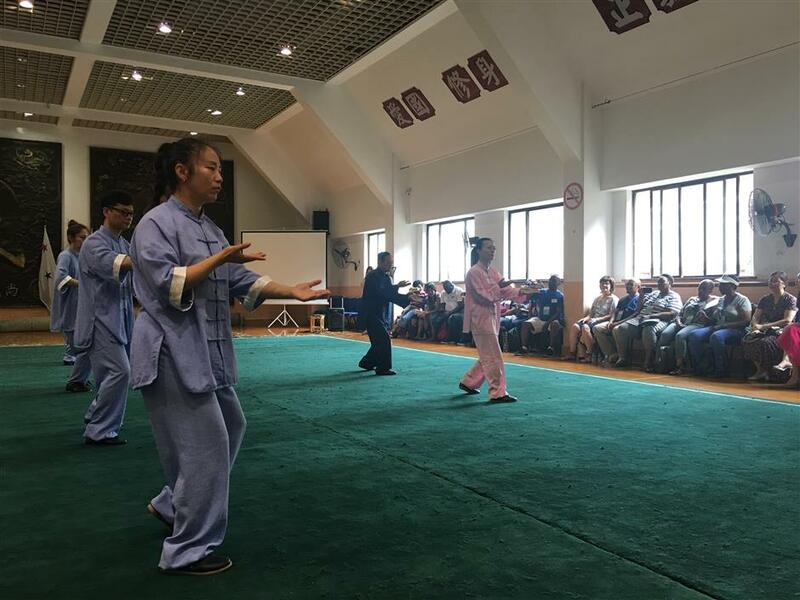 Martial arts masters practice tai chi boxing in front of a delegation of 14 principals from elementary and middle schools from Tshwane, South Africa, at Shanghai Chin Woo Athletic Federation on Tuesday. South African students are expected to begin practicing Chin Woo martial arts before the end of 2018, said Hilda Kekana, director of the Tshwane South District of Gauteng Department of Education, South Africa. “Children will definitely benefit from the martial arts, which can help them to be physically fit, disciplined and focused,” said Kekana. She led a delegation of 14 principals from elementary and middle schools in Tshwane to visit the federation on Dongbaoxing Road on Tuesday. These schools will become the first batch to teach the martial art to their students. The delegation watched boxing practice along with various martial art forms such as eight-diagram swordsmanship and freestyle combat. Ten children from a local kindergarten showcased the boxing exercise to the delegation. 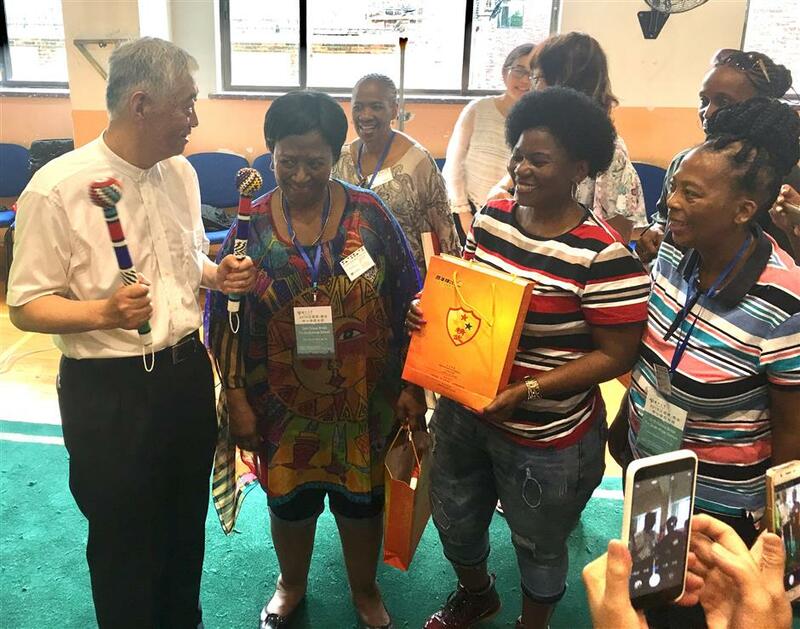 Xue Hairong (left), deputy director with the Shanghai Chin Woo Athletic Federation, exchanges gifts with Hilda Kekana (2nd left), director of Tshwane South District of Gauteng Department of Education of South Africa, at the federation on Tuesday. “Their bodies are quite flexible and beautiful when practicing the martial arts — I would very much like to promote this among students,” said Caroline Nel, the principal of the Glen High School in Tshwane. Kagiso Moloto, principal of Kgabo Primary School, said the school would not only begin teaching martial arts from the end of the year, but also Mandarin and Chinese culture. Founder Huo (1868-1910), who died within months of the establishment of the federation, was widely admired as a Chinese national hero for defeating foreign fighters in highly publicized kung fu matches. The Chin Woo federation was also one of the first public institutes teaching the previously arcane martial arts that were inherited only within a martial art school or family. Nowadays, they have branches in nearly 20 countries including Malaysia, the Netherlands, the United Kingdom, the United States, Canada and New Zealand. A master practices various martial art forms at the Shanghai Chin Woo Athletic Federation on Tuesday.